GIGLIO ISLAND, Italy - The shipwreck saga that dominated their lives for the last 20 months is winding down — and residents of the Tuscan island of Giglio are waiting to see what the future will bring. For months, tourists have flocked to this island to gawk at the giant, half-submerged cruise ship sprawled on its side just outside the tiny harbour. Hundreds of salvage workers have filled up Giglio's bars, restaurants and lodgings. Ferries from the mainland have arrived loaded with day-trippers. Now that the Costa Concordia has been set upright in a daring engineering feat, the realization is sinking in: the crippled cruise ship eventually will be towed away and a whole new chapter of island life will begin. It's true that the 300-meter (1,000-foot) long twisted steel hulk of the cruise ship isn't going anywhere soon. Its long-submerged side, muddied with slime and smashed in from lying on the rocky seabed since the Concordia struck a reef, now offers a new, striking sight to gawk at: that of a whole, albeit horribly deformed, ship. But by late spring, if engineers' plans hold, the wreck will be towed to the mainland to be turned into scrap. Then many of Giglio's 1,400 year-round residents will have to re-invent much of what they have done for a living since that sorrowful night of Jan. 13, 2012, when the ship's captain steered it too close to the island's rocky coast and 32 people aboard perished. While some islanders are looking for re-invention, others say all they need to do is return to the island's traditional way of life before the shipwreck. "Giglio doesn't need to invent anything because Giglio is a pearl," said Tiziana Pavoni, owner of a portside cafe where salvage workers, thirsty and famished after their shifts on the 24/7 project, wolf down panini, drink a few beers and treat themselves to gelato. "Giglio doesn't need any ship or anything else" to regain its reputation as a holiday destination, she said. The island, set in an archipelago in pristine waters where dolphins play and fishing nets yield prized catches, lives off fishing in the winter, when ferries linking it to the mainland run infrequently. But come summer, residents rent out rooms in their simple homes along steep, hilly streets, owners fling open the shutters on hotels that shut down in mid-fall, and restaurant kitchens start bustling to keep up with the strong demand for pasta topped with freshly-caught seafood. Giglio's mayor, Sergio Ortelli, was relieved that the island's time as a place for "eat-and-run" tourism was drawing to a close. "This year we noted a tepid recovery" of tourism and "that is a good thing," Ortelli told The Associated Press. "We thought we were going to have the same poor results of last year in terms of tourism, but instead, the (increased) presence of tourists on the island makes it clear to us that tourism is bouncing back." "Surely tourism will return to the same level we used to enjoy before this terrible tragedy," he said. Before the shipwreck, that meant sold-out hotel rooms in the peak summer season. 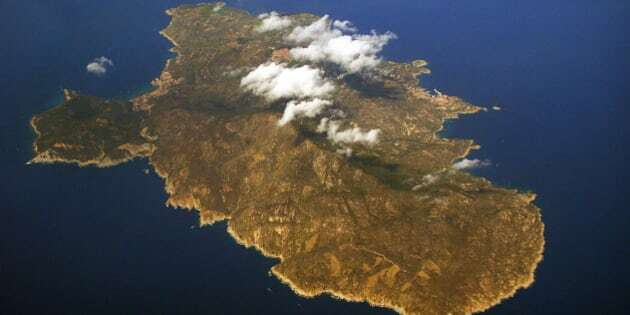 But many families who used to return year after year for the island's sand beaches and coves snubbed Giglio in the two summers after the shipwreck. Instead, hotels that normally would have closed for six months in the off-season did a booming business when salvage companies booked all their rooms for months at a time. Homes that would have stayed empty all winter rented out to the overspill. Lodging and feeding some 500 salvage workers is no easy feat. Angelo Pini, owner of the La Pergola di Demo hotel, said while most other hoteliers on the island kept their doors open for the crews during the winter, he made a personal choice to close as he always did. He said he was confident that when the Concordia is gone, Giglio's tourism will return to what it used to be. "We will finally be able to use beaches and rocks that are beautiful and are not accessible now because of the Concordia shipwreck," Pini said. Others are also looking forward to a Concordia-free future. They include the Di Cristina pastry and bread shop, a family-run business that has supplied the island's residents and guests with bread since 1959. For the family, the shipwreck couldn't have happened at a worse moment. The bakery is proud of its focaccia bread stuffed with onions marinated for 12 hours. The summer before the Concordia collision it had opened a tiny storefront selling pizza by the slice, focaccia and local sweets like bread laced with sugar and raisins. But the bigger-spending tourists who would splurge on fancy cakes were chased away by the macabre reminder of death and horror just outside the port, said Filippo Di Cristina, grandson of the bakery's founder. Instead the island saw a sharp jump in the number of day tourists shuttling in from the mainland after an hour-long ferry ride. "They get off the ferry and don't even turn the corner" from the dock and discover the bakery, he said. "They just go straight to see the ship" and then head back home. As soon as dawn broke on Tuesday, islanders like Aldo Mattera hurried down to harbour, relieved that the ambitious project to set the Concordia upright had succeeded. "It was time to remove the wreck, but maybe it should have been done sooner," he said.